What is an Alcoholics Anonymous (A.A.) meeting like? What happens at an A. A. Meeting? This should be an easy question. It’s not. Let me explain what an A. A. meeting is and how very different these meetings can be. While most people think of Alcoholics Anonymous as meetings you go to, it all started with a book titled aptly enough “Alcoholics Anonymous.” Back then there were few A. A. meetings. 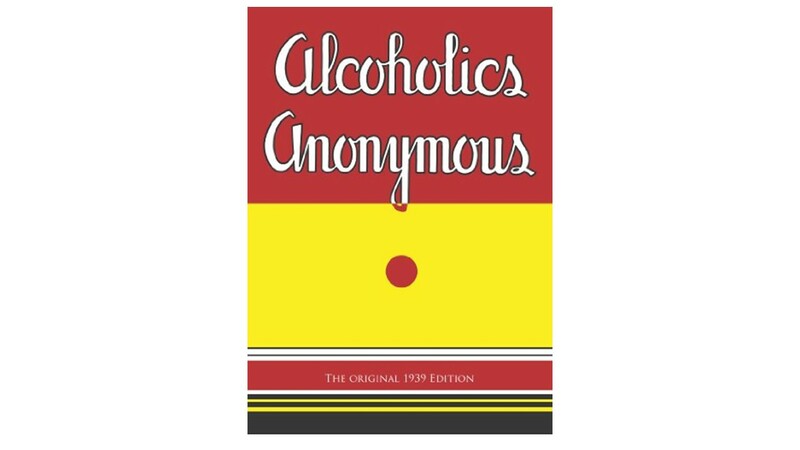 Most people learned about Alcoholics Anonymous from buying and reading the book. I continue to recommend that people read the book whether or not they elect to attend meetings. Over time more and more meetings have sprung up, mostly meetings of people who had read the book and wanted to learn more or get help in participating in the A. A. program of recovery. With all these groups starting up, they each had to develop their own set of rules. There got to be so many rules that at one point Bill W. one of the two co-founders, said if they followed all those rules, even he could not be a member. The result was that each group or meeting could figure out their own way of doing things as long as their rules did not conflict with the 12 Steps and the Twelve Traditions. Today there are a whole lot of very different A. A. meetings. Most groups have their meeting times listed and included in schedules and you can find those schedules online or in print form. Meetings can be categorized by what the program for a meeting will be, who is able to attend, where the meeting is held and so on. There are also designations for rules for particular meetings. Types of A. A. meetings. They can also be categorized by what is on the program at that particular meeting. First the rule types and then the program types. In the old days, most meetings were smoking allowed. Back then you could tell a good meeting by the full ashtrays. Nowadays more meetings are non-smoking. They may be held in a place that does not allow smoking or the members may have decided to make their meeting a non-smoking one. There used to be more prejudice about people admitting they had a drinking problem, let alone saying they were alcoholics, so some meetings became closed meetings, meaning that they asked that only alcoholics attend those meetings. The majority of meetings, especially the large ones, are open meetings that anyone who wants to go can attend. They do ask that if you share, you only talk about alcohol problems and your recovery from alcoholism. Sorry, no commercial pitches or religious and political solicitations are part of this program. I recommend to female clients that whenever possible they attend a few women’s only meetings. The point of meetings is to work on your recovery not to find a new partner. Meetings customarily meet once per week at a particular time and place. They may use any room available; say a church meeting hall, a room at a school or business. The meeting rents the room from the place and then has their own meeting. The A. A. group may meet at say the Methodist church on Friday night, but it is an A.A. meeting, not a Methodist meeting, so any faith, or those with no faith, are welcome to attend. A fellowship is a group of meetings that goes in together and rents a room so that there are primarily A. A. meetings in that place. A fellowship might have a morning meeting each day, a noon meeting each day and one or more evening meetings each day all in the same place. Go to a fellowship a few weeks and you will develop a group of clean and sober friends. I encourage clients to try out a fellowship as soon as possible. I also encourage them to try a number of meetings till they find the one that is right for them. Different A. A. meetings will have different formats. At a speaker meeting, one or a couple of people will get up and talk about their experiences in recovery. At a book study, a portion of the book is read and they people discuss what this means and how they might apply it to their recovery. Books would include the A. A. Big Book, 12 and 12; As Bill sees it and so on. These meetings do not include reading from any religious books like the Bible or the Koran as that would make the meeting a religious meeting not an A. A. meeting. At this meeting members, (remember you are a member if you decide you want to stop drinking) are encouraged to talk about what is on their mind as it applies to drinking, not drinking, and their recovery from alcoholism. Meetings, by the way, are not therapy sessions. Sometimes it is hard to tell the difference but the focus of the meeting should be on your problems with alcohol and your efforts to not drink. The Big Book suggests that people share “in a general way,” what they used to be like, what happened and what they are like now. So there you have the types of meetings that you might choose to attend, but what will actually happen if you chose to go to an A. A. meeting? If you need to or want to attend a meeting, consider which meeting type you might like to attend or try out several and see what is best for you. In a future post, I want to describe what the experience of attending an A. A. meeting might be like. The posts I write about AA are from my perspective as a therapist and clinical counselor and do not necessarily reflect the views of A.A. World Services. For more on A.A. and their program of recovery check out the “A.A. Big Book” titled Alcoholics Anonymous at the links below or contact AA World Services at their website. The classic text on Alcoholism, recovery this is the book that started off the whole 12 step phenomenon. One of the Kindle editions – At 99 cents this is such a bargain. This edition needed a separate listing. No Kindle reader? No Problem, if you have a computer you can download a free Kindle reader. This entry was posted in Alcoholism, Recovery and Resiliency and tagged Addiction, Alcoholic Anonymous, Alcoholism, Big Book, Counseling, David Joel Miller, Substance abuse, Twelve Traditions, Twelve-step program by David Joel Miller. Bookmark the permalink. I spent some time in A.A. meetings years ago. I found that being there listening to others share their stories about their struggles with alcohol. It took me some time to feel comfortable being in that setting and sharing. I found many there just to socialize more than seeking Sobriety. The only issues with going to meetings is those that preach to you like you are evil and they are above you. And those there that have been clean for awhile looking for others to praise them for their success. Overall it was a life changing experience.